Coconut oil uses are numerous and include being one of the best organic facial products. And being a natural tanning lotion is another one of the many uses for coconut oil. I was brought up in Hawaii and went to the beach a lot when I was young. We used coconut oil on our skin instead of commercial sunscreens way back when. I still remember the incredible smell and beautiful tans. And unlike most sunscreens, coconut oil does not block the UV rays that are necessary for vitamin D synthesis on the skin. Coconut oil also protects your skin from environmental exposure damage. However, being an organic sunscreen is just one of the many coconut oil uses for everyday beauty routines. One of my favorite cosmetic coconut oil uses is as a make-up remover. It works fast and at only a fraction of the cost of other make-up removers. Plus minus all of the chemicals! Place the plain coconut oil or coconut oil mixed with essential oils in your mouth and swish in between your teeth for about 10 to 20 minutes. Then spit out the oil into a cup or trash can. Rinse your mouth out with water and then brush your teeth. Do this routine for 2 weeks straight and then switch to maintenance of just 2 times a week. This technique is called oil pulling and some people swear by this as a way of building stronger teeth and building a stronger body. Make Your Own Toothpaste and Save Money! Mix all of these ingredients together in a glass bowl and use a stainless steel spoon or wooden spoon. Put your toothpaste in a glass jar and cap with a lid. And store in your bathroom. Lately, I've been making my own toothpaste with just a few ingredients. I add a few tablespoons of Terramin clay with a little more coconut oil. Terramin clay is a betonite clay that comes with 57 macro, micro, and trace elements. Then I add in 1 packet of organic powdered stevia for sweetness and about a teaspoon of pure baking soda. My toothpaste recipe looks like melted chocolate and almost taste like a chocolate flavored toothpaste. Mix ingredients in a glass bowl until a paste forms. Rub into hands and apply to your clean face in scrubbing circular motions for a few minutes. Be sure to rub gently around delicate eye area. Leave on your face for 5 to 10 minutes. Then rinse off with warm water. Do this routine once or twice a week to be effective. You can even make a body scrub using coconut oil as the base and mixing it with an equal amount of organic cane sugar. I also like to use this oil on my skin whenever it needs more moisture. I rub coconut oil on my face and I especially like to use it to moisturize my hands. Using coconut oil or organic facial products on your skin is not only healthy for it, but helps to protect it from the elements. 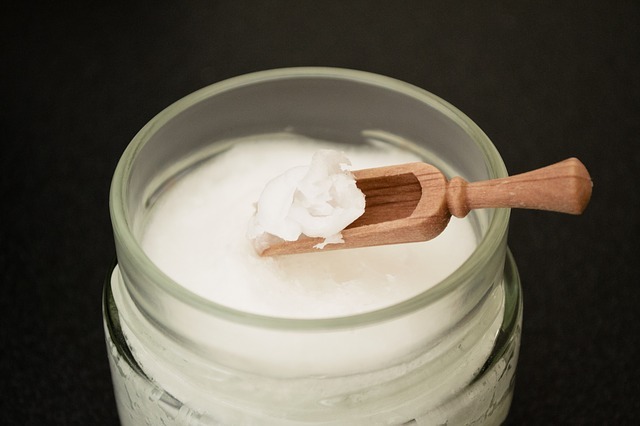 Coconut oil is one of the most natural, inexpensive, and effective moisturizers. Most facial products have too much water and refined vegetable oils which can cause free radical damage to your skin. Coconut Oil can Stop Free Radical Damage! Once free radical damage starts, it can cause a chain reaction which ultimately damages thousands of molecules - Yikes! Coconut oil has the ability to soften your skin and protect it from free radical damage. You can get this protection from applying this oil to your skin or even by ingesting high quality extra virgin coconut oil internally. By applying coconut oil to your skin, you can remove dead skin cells to give skin that youthful appearance again.